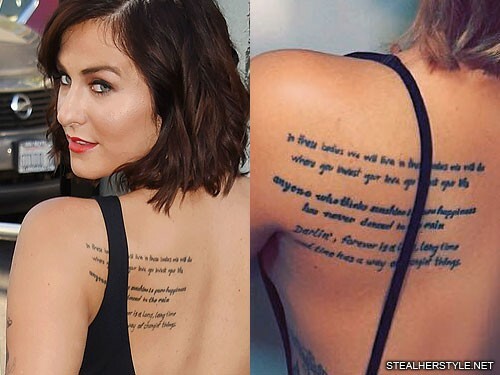 Scout Taylor-Compton has a “dinglehopper” tattoo on her back in honor of her favorite movie The Little Mermaid. In the film, Ariel is obsessed with human culture. She finds a fork and since she doesn’t know what it really is, she calls it a “dinglehopper” and uses it to brush her hair. 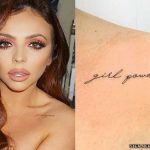 This tattoo was added next to the existing quotes on Scout’s back from artist Joshua Greener at the Spooky Empire Tattoo Festival in Orlando, FL in April 2017. 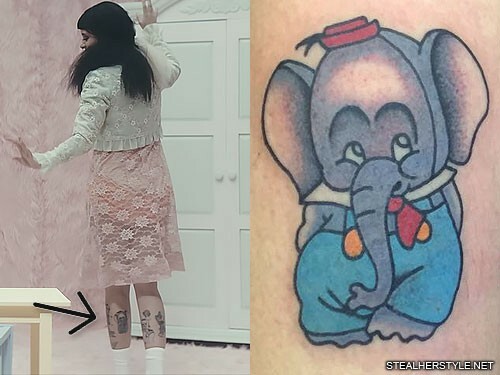 Of course she went to Walt Disney World while she was in Orlando! 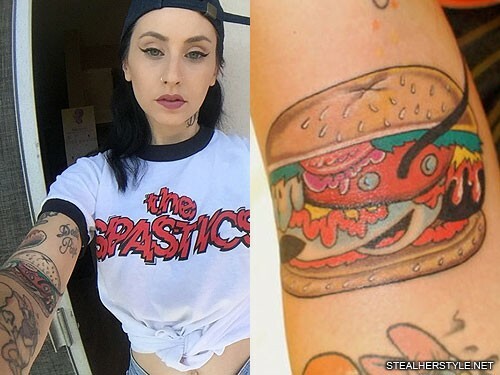 Scout Taylor-Compton is obsessed with all things Disney and has a little Mickey Mouse head tattooed behind her left ear which she got in September 2013. 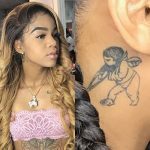 She loves taking trips to Disneyland and watching their classic animated movies. 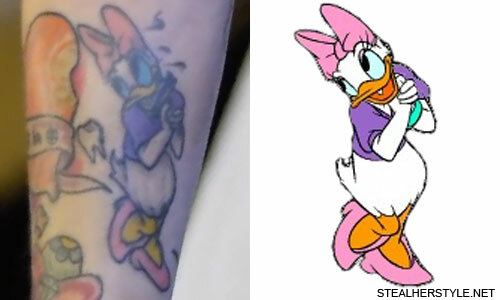 Kreayshawn has a tattoo on her right forearm of Daisy Duck holding a .22 caliber pistol. 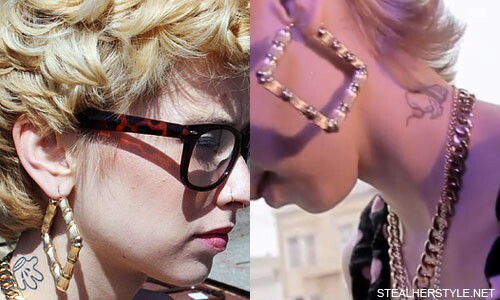 Kreayshawn’s very first tattoo is the ice cream cone on the left side of her neck. 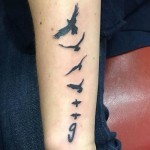 She says: “I decided to get my first tattoo while at the tattoo shop when my sister was getting hers. 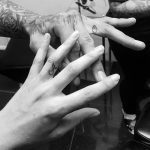 I was like, They are tattooing 15-year-old kids–I’m down! 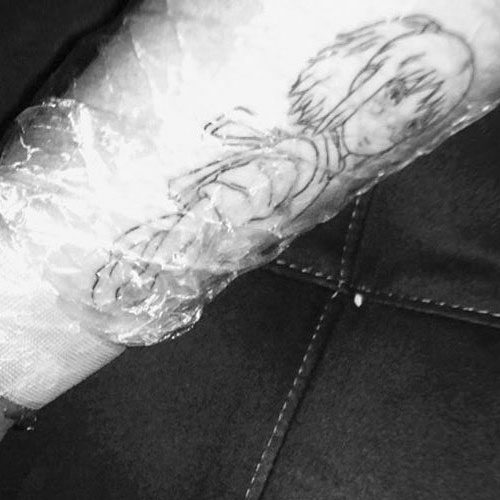 It’s my favorite because it’s so old. 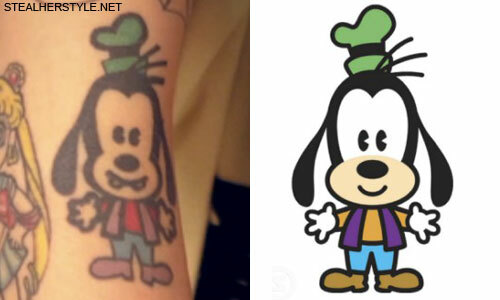 It doesn’t look like any of my other tattoos because they are all so bright and vibrant and it’s weathered.” On the opposite side of her neck is a Mickey Mouse glove. 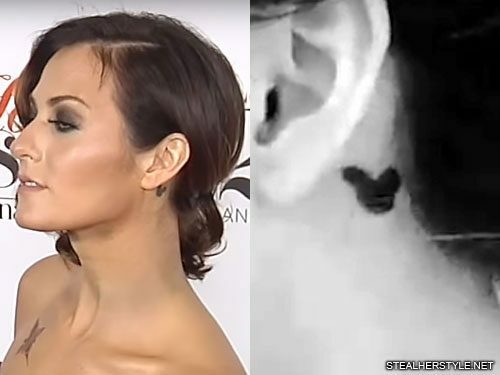 She also has writing on the back of her neck, but I can’t decipher what it says. 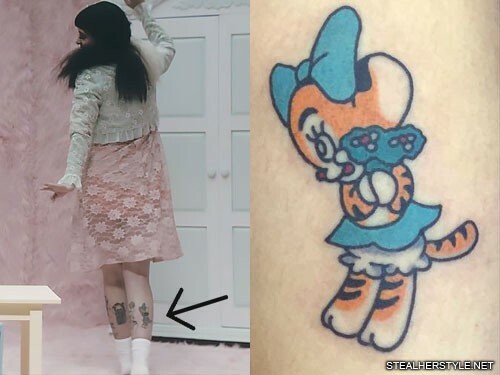 The final quotation that she got tattooed is “Darlin’, forever is a long, long time / and time has a way of changin’ things” which comes from the Disney Movie The Fox and the Hound.